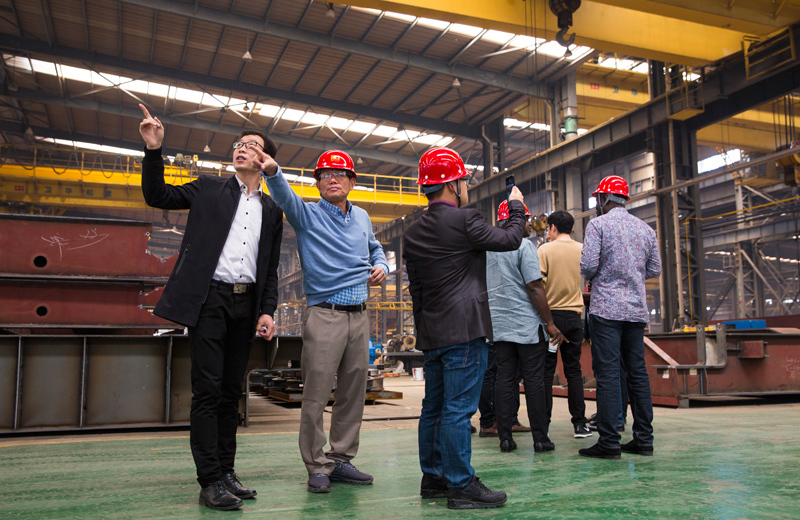 In March, 2018, Myanmar customers contacted us for overhead cranes used at steel work. On April 18, they came to China and visit us. Wei Guoqi, General Manager of Weihua Overseas Business, participated in the reception. The customer is from a steel work in Myanmar, and seeking cranes from China. 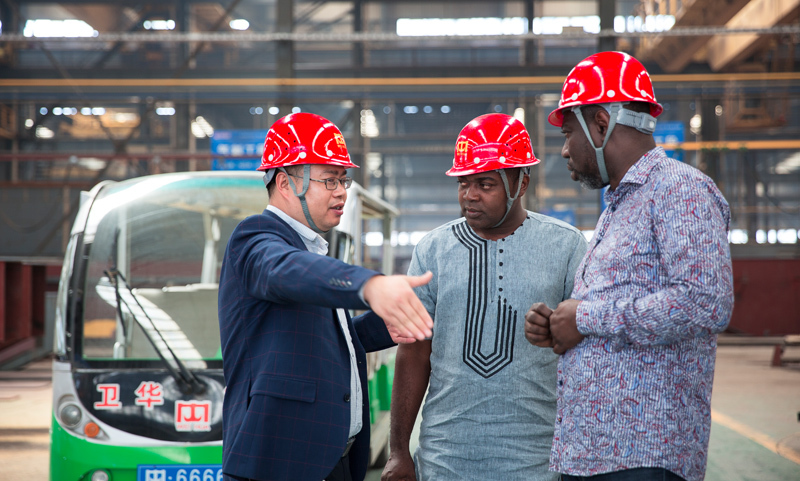 They expressed the requirement including several 20t overhead cranes for transporting steel pipes, coils and steel plates. The customer visited Weihua manufacturing workshop, electrical workshop, laboratory, etc. and express their approval and praise for Weihua's strength. We will work on the quotation for them in the few days. After that, they also inspect Weihua new product auto parking system. 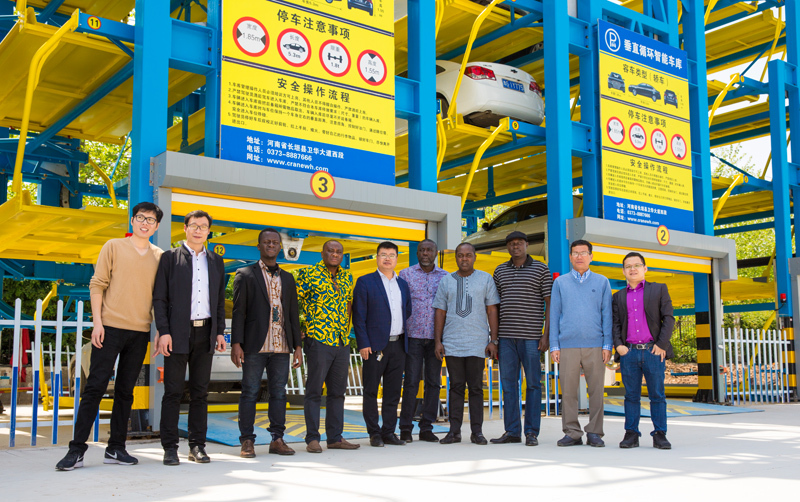 Members of the Ghana Chinese Chamber of Commerce, a group of 5 people, visited the Weihua and Nucleon on April 18. Wei Guoqi, General Manager of Weihua Overseas Business, took part in the reception. 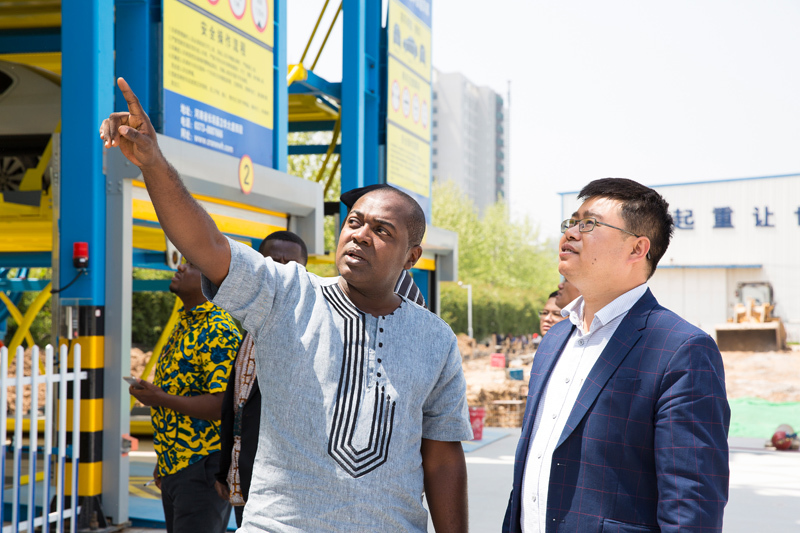 After visiting the new product auto parking system, they expressed highly praise to Weihua and put forward very constructive comments. They said Ghana's underdeveloped power supply system may need for a UPS system, which will be very helpful to develop Ghana and African markets.